Open later to serve you better. Now with slots. Jo Jo's Pizza is an Italian Restaurant, Pizza Delivery, and Pub located in Rockford. Formerly only pizza carryout, Jo Jo's Pizza & Pub is now a full Italian restaurant and bar with video gaming. 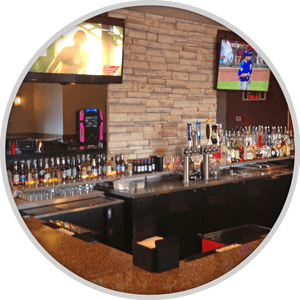 Not only are we serving great pizza all night, but we are also a full pub that offers all of your favorite draft beers and mixed drinks! You will not be disappointed if you choose Jo Jo's Pizza and Pub. Your favorite cold beers on tap or in bottle. Our liquor selection features a wide range of wines & spirits to quinch your thirst. 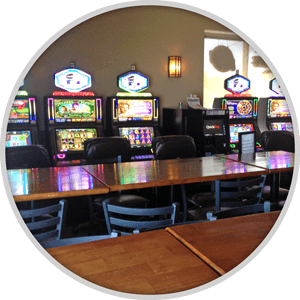 Have a drink & wind down at our slots & gaming machines, featuring the newest & hottest games in Rockford. Our jukebox is always playing your favorites here at Jo Jo's. We now have slots, and are open for your entertainment until 2am, 7 days a week.